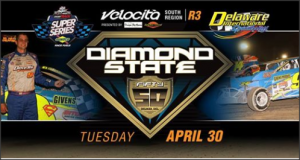 Entering its sixth season in 2019, the Bob Hilbert Sportswear Short Track Super Series (STSS) Fueled By Sunoco continues to break new ground in dirt Modified racing. The series was founded by Brett Deyo in 2014 as a manageable program for big- and small-block Modifieds. The series enjoyed a record-setting season in 2018. 299 different drivers took part in STSS Modified competition, with 277 competitors attempting at least one STSS Sportsman event. The series paid out $482,748 in purse money, $14,771 in bonuses and a record-setting $74,950 point fund during the ’18 season. The STSS Modified circuit boasts a nine-event North Region contested primarily in New York State and a South Region with eight races scheduled for New Jersey, Pennsylvania and Delaware. A balanced, non-top-heavy $25,000-plus purse structure at each event and lucrative point fund makes traveling affordable for weekend racer. As a result, the STSS averaged 43.7 cars per event in ’18. There is also an exciting Insinger Performance-sponsored cross-promotion bonus program with the home-track American Racer Cup that could produce a $57,500-plus grand champion. The STSS also boasts a growing Crate 602 Sportsman program comprised of North and South point battles.